An herbal extract called Bohemeria nipononivea appeared to improve hair health and regrowth in post-menopausal women experiencing Androgenic Alopecia, according to a study by Rinaldi, Sorbellini, Bezzola and Giuliani. Boehmeria nipononivea is a nettle plant from China and Japan. An extract from this plant’s leaves was given in tablet form to a group of 30 women aged 44 to 69 years. Thirty control subjects received a placebo and showed no significant changes. However, the women who received the herbal extract, showed a 10% increase in their anagen count (active hair growth) by the end of the trial. Their Telogen count percentage (the percentage of hairs not growing) reduced 35%, and their hair shaft diameter gradually increased, too. Their hair count went up significantly. The scientists concluded that the extract of Bohemeria nipononivea they studied could be effective and safe for treating women with female Androgenic Alopecia. 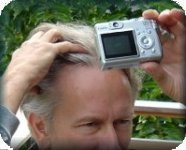 This entry was posted in Hair Loss, Hair Loss in Women on July 30, 2009 by Larry Shapiro.